On August 5th, SEC will vote on a rule that would publish the ratio of CEO compensation to the typical worker of their own firm. This disclosure is required by Dodd-Frank, but, as with many laws, the details and implementation makes all of the difference in the world. SEC has delayed the implementation of this requirement, but I don’t really know why, other than CEO’s don’t like the idea. I don’t like the idea because it unnecessarily target the CEO over other top executives. The likely comparison will be made between the CEO and an average of some pool of individuals, which is unfair. The better comparisons are with individuals against individuals or pools against pools. I’m in favor of pools. The pools should be large and the distinction should be simple and indicative of something important. If the pay disparity is what the SEC wants to highlight because it feels that bigger disparities lead to more compliance issues, then they need to identify what is driving the disparities within the organization. Across the board, the biggest portion of disparity is equity compensation. The two pools should something quite simple. My suggestions: compare average total compensations where more than 50% of the total compensation is equity versus less. Here’s the other problem with this disclosure: what is defined as the organization. I’m assuming Goldman Sachs does not hire any janitors. Janitors are employees of an outside firm. But Goldman Sachs wouldn’t exist without working in buildings of some sort. So, in terms of running the company called Goldman Sachs, some manager has to decide what janitorial company will be responsible cleaning their offices. As long as having offices is part of Goldman Sach business model, office cleaning services are part of its business. But legally, those janitors don’t work for Goldman Sachs. These types of outsourcing is usually on the low end of the payscale, unnaturally raising the average of the lower pool. Similar pool problem are labor market disparities. A company whose employees are primarily in Bangladesh will be paying their lower pool significantly less than the upper pool. At the same time, the disclosure is actually made worse but hiding the disparity it is actually trying to reveal: American disparity. So, does one exclude foreign employees? Still, the greatest benefit to my proposal is getting an understanding about how what the pay disparity is between those who are working to pump up the value of their stock and those who are trying to increase their cash compensation. This will also require the firm to put everyone in two buckets, forcing them to make a decision about what roles should be trying to pump up the stock and what roles are to be productive. But these are implementation problems. Politicians and interested parties are still arguing over whether such information in important to shareholders. Republicans are saying that the purpose of the rule is to produce societal pressures on corporations, not actually add informational value to shareholders. I don’t have a problem with putting societal pressures on corporations, but I do wonder if this really should be the role of the SEC or if it should be the role of the DOL. Democrats and Labor are saying that the information is going to be important for shareholders because they will be given another key piece of information about how to pay their executives, which shareholders do in a vote each year. Should corporations be required to disclose the pay ratio between its top executive and the average worker in the firm? The first two are discussed a lot because of the dramatic human toll newspapers can interest readers in. Decreasing government pay could look like the government is gouging its employees when they could be raising taxes on wealthier people who can afford to pay, but Greece is also notorious for high pay and early retirement, some as early at 50 years old, which makes employees look like they are milking the system. Youth unemployment is a particularly difficult topic of people because many older Greeks do not make much money but then they must also support their grown children (18 to 24 year old) who cannot get career jobs and are employed part time for part of the year. There is a generational battle here. Older people can command higher wages with their knowledge and experience, but younger people are cheaper. It is hard to blame Greeks for not paying taxes. First, non-government employees get very little for the Euros paid. It isn’t like Greek infrastructure is among the best in the world. It isn’t like Greece is a leader in an industry. Greece’s biggest attraction is tourism. Just look at the picture of the beach. Beautiful sand, clean blue water, happy people sunbathing; it’s the type of place people imagine when they imagine paradise. But even if Greece paid its taxes, it has a long way from being financially healthy. Let me bring the financial aspect of this discussion down to ground level. Each of Greece’s 11 million people owe about $23,000 and they earn about $22,000 per year. That actually isn’t too bad except each Greek owns only about $18,545. Compare that to the United States. Each American owes about $55,000 and earns about $53,000. Per cent, it is almost exactly the same as Greece. But each American owns about $257,232. These are all averages, of course, and it does not address distribution. The point is that on average a Greek person can’t give up all of his wealth to pay of the debt and start outright, while an American could pay off the debt with about 80% of their wealth intact. Greece now has a little bit of a surplus, meaning they are making a little more than they are paying to live. If this continues, with some adjustments in the way it collects taxes, it could work its way toward financial solvancy. But at this point, it looks like it is just too difficult people for Greeks to do, at least not while the sun continues to shine on their beaches. What do you think about Chris Evans becoming a new Top Gear host? 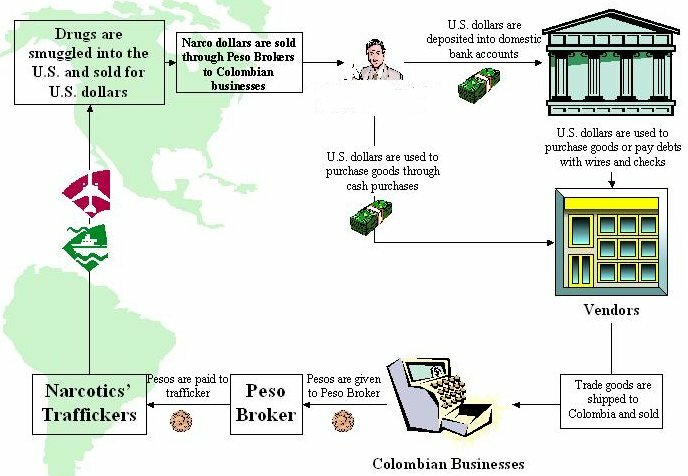 Black Market Peso Exchange (BMPE) is a way of laundering money, or to make illegitimately earned monies seem legit, hiding the criminal activity that created the income. Diagram of Black Market Peso Exchange from Chase & Associates, Inc. 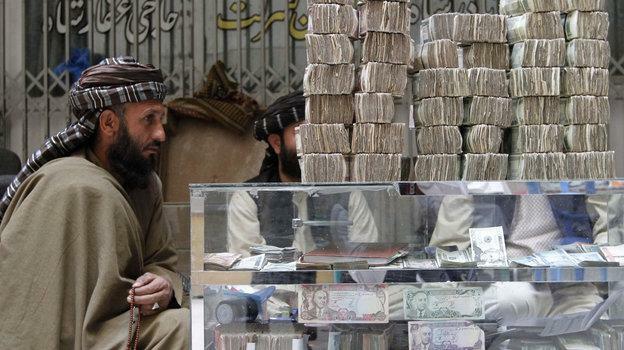 It is really no different than other common forms of laundering money but a term was created to capture the massive amount of activity that takes place to clean drug money. This is a yearly exercise banks must pass in order to keep their bank charters. The idea is that the two major insurers of these institutions receive enough information so that there is enough insurance to cover for any losses by depositors and debtees. Unlike regular insurance plans, the insurance premium won’t go up. That has been taken off of the table. Instead, the institution could be required to increase its ability to cover for the risks. The risks are measured using Basel 3 standards. Metrics such as CCAR and CVar are used to determine a financial instrument’s ownership and level of risk. So, basically this is an exercise in accounting, primarily, and finance, secondarily. Despite the title of the section, it is left up to the Fed and the FDIC to figure out if a resolution plan can be derived from the requirements. That is to say, the “Resolution Plan and Credit Exposure Report,” submitted by the institution does not actually contain a plan on how to resolve a dissolution of the institution. It provides information with which the Fed and FDIC can do so. For banks that are smaller and simpler, FDIC is implementing a plan to perform the exercise itself, taking the burden of performance off of these other institutions that do not face direct risks from collateralized securities. Credit Unions have their own equivalent to the FDIC called National Credit Union Administration (NCUA). There are some similar rules for credit unions but because of the limited offerings credit unions are allowed to provide, the risks are inherently lower, therefore, the standards are lower. This short explanation is a good start to understanding the goals DFA Title 1 Section 165 (d)1.